According to the National Hydro Meteorological Forecasting Center, four consecutive cold fronts will slam the northern region from now until January 8. The cold fronts will hit the northern region on November 26 and 29 and December 2 and 4, of which the one occurring on December 4 will be the strongest. Temperatures will plunge and severe cold weather conditions will prevail. 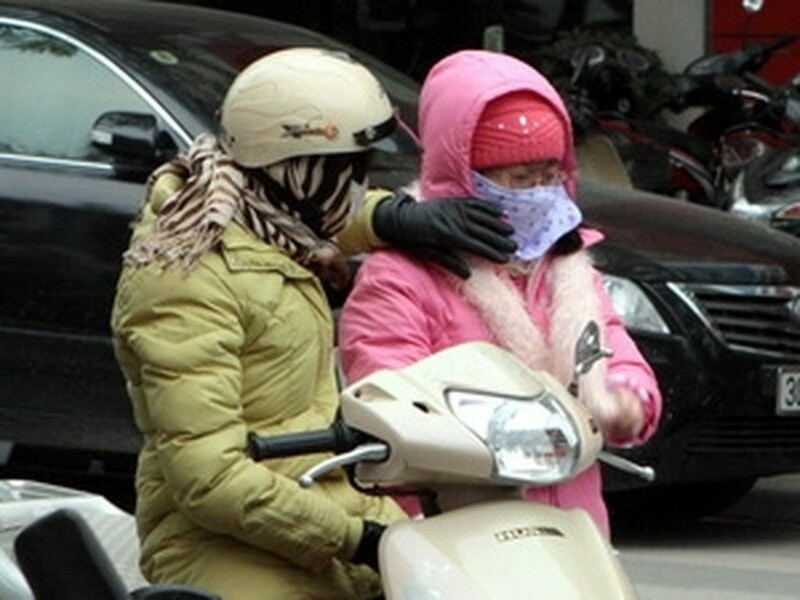 From November 26, the mercury will fall to 10 degrees celsius in several parts of the northern region. The cold weather conditions in the north have also affected the weather in the central region, which saw rainfall on November 25. Rainfall measured 200mm in Ha Tinh Province flooding several streets in Ha Tinh City. Rain will continue in the central region from November 26.